The Space Medicine Association of the Aerospace Medical Association (AsMA) is pleased to announce an opportunity to apply for a scholarship award. Applications are now being accepted. The purpose of the SMA Scholarship is to encourage students, who have demonstrated academic achievement and shown an interest in Space Biology and Space Medical Operations to further pursue a career in Space Medicine. A scholarship of $1000 will be awarded through a competitive process to an individual selected by the scholarship award committee. Scholarships are open to college, medical school, residency, and fellowship students. Enrolled full-time in college, medical school, residency, or a fellowship during the period of the award. If you are unable to access the form electronically, or would like to request a paper copy, contact the Space Medicine Association by email at: mcamp@1starnet.com. Please allow one week for delivery of forms. Student Resume: Include relevant employment, education, and extra-curricular activities/community involvement. Resume should also provide current contact information including email, phone, and mailing address. You should solicit your letters from teachers and laboratory directors with whom you have worked closely and who know your work well. You should be sure to inform them what the SMA Scholarship sponsored by Dr. Jeffrey R. Davis is so that they can write an appropriate letter on your behalf. The Review Process. Applications for the Scholarship sponsored by Jeffrey R. Davis are reviewed by a Scholarship Committee composed of Space Medicine Association officers and members. The Space Medicine Association Scholarship Committee evaluates the eligibility of all applications received, determines those that are qualified, then selects the winning entry. If not notified of selection by April 10th, the applicant was not selected. Award recipients agree to grant permission to release and/or publish requested recipient information to the Aerospace Medical Association and the Space Medicine Association. 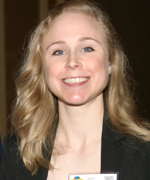 The Space Medicine Association Jeffrey R. Davis Scholarship was presented to Dr. Emily Stratton. Osteopathic Medicine from Pacific Northwest University of Health Sciences. She is about to complete her first year of Emergency Medicine Residency at SUNY Update Medical University. Dr. Stratton has performed commercial spaceflight research and presented a talk entitled “Insight and Task Performance in Simulated Suborbital Spaceflight: Implications for Informed Consent” during the 2018 AsMA Scientific Meeting. Dr. Stratton currently serves as Organization Secretary for AMSRO and received the Gregory Shaskan, MD Aerospace Medicine Education Scholarship in 2016. 2013 Derek Nusbaum, M.D., Ph.D.